Contest Rules: To qualify for promotional prize participants must (a) be at least 18 years of age (b) have a method of payment (preferably credit card) on file with Aspirations Inc. (c) have consented to this promotion by submitting a completed ENTRY FORM and/or (d) have signed up to become a YL Member through Aspirations Inc in 2016. Draw will be done on January 17, 2017. The winner will be contacted on the same day. Complete & Submit this entry form in person, by email or by fax. Indicate on the chart the quantity of each oil you would like Aspirations Inc. to purchase monthly on your behalf. Orders for each month will be placed on the 1st day of the following month. Email notifications will indicate when your purchase is ready for pick up. Each month that a Young Living Essential Oil from our Promotion is purchased for you – you receive ONE DRAW ENTRY. Buy ALL 12 months and receive 1 FREE draw entry: 12 +1 = 13 entries in ALL. Entry forms MUST BE SUBMITTED before the last business day of the month in order to qualify for the draw. 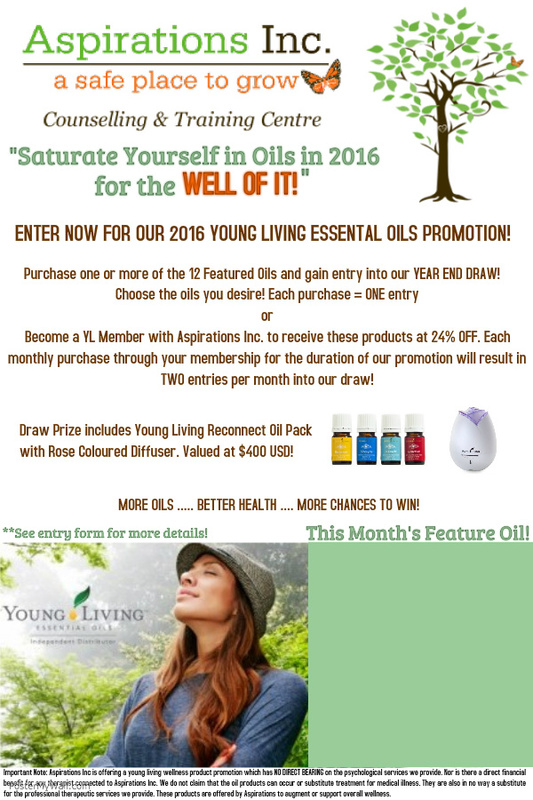 Become a YOUNG LIVING member through Aspirations Inc. website asafeplacetogrow.ca/young-living-essential-oils AND receive TWO DRAW ENTRIES for every month you place an order in 2016 using your membership. Members receive a 24% discount off products, direct shipping to their home, and access to the American YL products. Payments that cannot be processed by the1st of the month for whatever reason will result in the suspension of the order for that month and NO ENTRY will be placed into the draw. Payment information can be changed by submitting a written request to Aspirations Inc. by the last business day of the order month. If request is not received by this cut off day, payment will be processed as per entry form and the change applied to the following month. Contest Withdrawal Participants in the promotion can withdraw at any time by sending a written request to Aspirations Inc. either by fax (780-468-1368) or email aspirations@asafeplacetogrow.ca. Written notice must be received by the last business day of the month in order to be applied, otherwise orders according to submitted entry form will continue to the following month. Any products that have been purchased by Aspirations on behalf of the participant and received by the participant prior to the withdrawal notification cannot be returned to Aspirations and remain the property of the participant. Product orders will be halted in the month that the written withdrawal notification has been received. 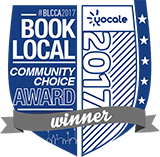 Download our Entry Form and get started TODAY! Entry forms may be printed or filled out electronically and returned either by fax: 780-468-1368, by email: aspirations@asafeplacetogrow.ca, or directly handed in to our office location: 9853 90 Avenue NW, Edmonton AB.